Does the microbiota-host crosstalk contribute the metabolic disorders occurring in cancer? Cancer cachexia regroups a pattern of metabolic disorders occurring in cancer. This complex and highly invalidating disease remains an unmet medical need for which new therapeutic tools are warranted. Prof Bindels and her team are currently investigating the role and therapeutic interest of gut microbes, bacterial metabolites and microbiota-targeting foods in cancer cachexia. We combine metabolomics, next-generation sequencing and integrative physiology to dissect the relationship between gut microbes and their host in this specific context. With this project, we aim to deliver innovative nutritional and pharmacological tools that would ultimately provide a better supportive care to cancer patients. Can we image response/resistance to targeted therapies in cancer ? Targeted anti-cancer agents can result in rapid clinical benefit, but are too often associated with limited durability of response because resistance inevitably develops via bypass signaling pathways. In this context, combination strategies are appealing. The overall goal of the project of Prof. B. Jordan is to develop a multimodal strategy of validation of noninvasive early markers of response to combined targeted therapies in cancer in order to improve response to therapy and to overcome resistances, in the transition towards individualized therapy. This project is a collaborative work with medical oncologists of the ‘cliniques universitaires St Luc’, Prof. JP Machiels, Dr. F. Duhoux, and Dr. JF. Baurain (IREC). Does oxygen keep you alive in cancer ? In order to bridge the gap between tumor hypoxia and clinical radiotherapeutic planning, it is mandatory to be able to image tumor hypoxia individually. Therefore, there is a critical need for non-invasive, direct, and quantitative methods for oxygen mapping that would be applicable in daily clinical practice. 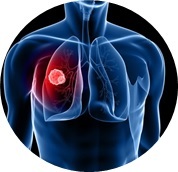 The aims of the project of Prof. B. Gallez and B. Jordan are to develop advanced technologies (Electron Paramagnetic Resonance, EPR ; Magnetic Resonance Imaging, MRI) to monitor non-invasively tumor hypoxia and to define innovative strategies to modulate tumor oxygenation in order to potentiate response to radiation therapy. Can we image hallmarks of cancer ? The hallmarks of cancer (Hanahan and Weinberg, 2011) constitute an organizing principle for rationalizing the complexities of neoplastic disease. They include sustaining proliferative signaling, evading growth suppressors, resisting cell death, enabling replicative immortality, inducing angiogenesis, activating invasion and metastasis, reprogramming energy metabolism, evading immune destruction, genome instability, tumor-promoting inflammation. In a translational approach, the research of Prof. B. Gallez and B. Jordan are developing non-invasive magnetic resonance tools for characterizing these hallmarks, are applying these tools to monitor the evolution of the tumor microenvironment during therapies and their qualification as surrogate markers of tumor response to treatment. Real-time monitoring of metabolic fluxes: dream or reality ? Reprogramming energy metabolism is considered as an emerging hallmark of cancer because adjustments in energy metabolism can fuel cell growth and division. Innovative strategies have been recently developed to target deregulated metabolic pathways. As cancer cells exhibit extraordinary metabolic plasticity, there is a crucial need to establish if compensatory mechanisms that use alternative metabolic routes could promote resistance to these therapies. By using advanced magnetic resonance techniques, the research group of Prof. B. Gallez analyzed metabolic transformations in cancer with the aim to provide a rationale for combined treatments and to propose MR biomarkers for the stratification of tumors candidates for metabolic-based anti-cancer therapies. How small molecules can boost the immune system against cancer cells? Cancer cells have the ability to alter the anti-tumor immune response, thus fostering a tolerant microenvironment. Tolerogenic mechanisms include the production of cytokines, chemokines, cell-surface markers and also the production of several enzymes that contribute to the widespread of the tumor. The works of Prof R. Frédérick and his team aim at detailing the exact role of some of these enzymes and particularly the indoleamine 2,3-dioxygenases and arginase in the phenomenon of tumoral immune rejection. This includes the development of innovative pharmacological tools by chemical synthesis and their use in in vitro and/or in vivo experiments. This work thus constitutes a first step for the development of new anticancer agents with an original mechanism of action. How disrupting the metabolic adaptation of cancer cells with small molecules can provide new anti-cancer strategies? It appears now clearly that cancer and somatic cells can be distinguished from a metabolic perspective. Indeed, most cancer cells share the peculiarity of overusing and relying on the glycolytic pathway. These sugar-addicted cells use the glycolysis not only to sustain their own energetic needs, but also to promote their growth and survival via the synthesis of glycolysis derived oncometabolites. Prof R. Frédérick and his team are currently working on the development of innovative pharmacological tools targeting key elements of this glycolytic pathway as a novel anticancer strategy. How to enhance the delivery of anticancer drugs to the tumor? Tumor targeting by nanomedicine-based therapeutics has emerged as a promising approach to overcome the lack of specificity of conventional chemotherapeutic agents and to provide clinicians the ability to overcome shortcomings of current cancer treatment, including the poor entry of chemotherapeutic drugs into tumors. Prof V. Préat, Dr F. Danhier and their team are currently investigating the therapeutic efficacy and the influence on the tumor microenvironment of targeted nanomedicines designed for the intravenous and local delivery (mainly colorectal cancer and glioblastoma). Additionally, Prof R. Vanbever and her team optimize the delivery of nanomedicines to the lungs for a local treatment of lung cancer. How can we efficiently deliver vaccines? Harnessing the immune system to fight cancer is an attractive strategy. Prof V. Préat, Dr G. Vandermeulen, and their team aim at optimizing DNA vaccines to specifically treat tumors. They improve both the vaccine itself, at the molecular point of view, and the systems that allow its delivery, in particular electroporation. Their latest research exploits the properties of viral proteins which are engineered to efficiently present tumor antigens to the immune system. The project aims to provide a potent and versatile nucleic acid-based platform able to target several cancers. In parallel, Prof R. Vanbever explores the potential of the pulmonary route for the local delivery of vaccine adjuvants.